I was quite surprised to see the Moon surrounded by a red sky tonight, as usually any red sky sunsets that do appear are in the opposite direction to the Earth's nearest planet. 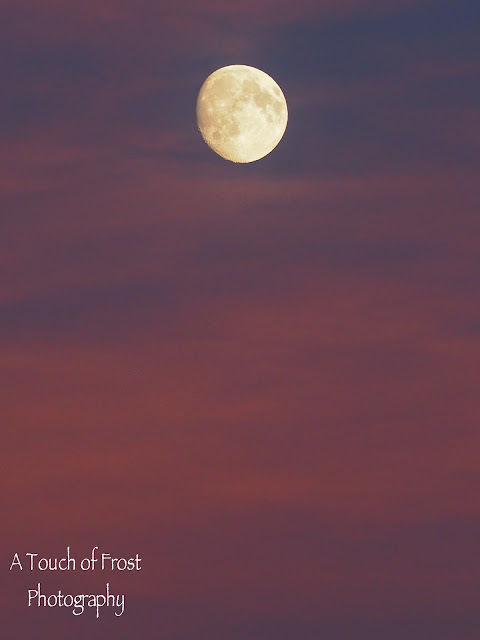 But tonight, both the red sky and the Moon were both in the right position for me to get this photo. I of course used my 40-150mm zoom lens, to get this shot, otherwise it would just be a small dot in the sky.